Even top executives aren’t averse to kicking a man when he’s down. Snapchat CEO Evan Spiegel had recently managed to come under a firestorm of hate for allegedly having said that he didn’t want to expand his app into poor countries like “India and Spain”, and that his app was meant only for rich people. Many Indians didn’t take kindly to his remarks, and peppered Snapchat with 1 star ratings and angry reviews. Over 4 lakh Indians hit Snapchat with a one-star review on the Play Store, and the Snapchat’s App Store rating fell to a one star. Even Spiegel’s girlfriend Miranda Kerr was not spared, with many attacking her Instagram profile over her fiance’s comments. And now Facebook CEO Mark Zuckerberg has added some fuel to the fire. The very week that the Snapchat CEO is seen as being elitist, Facebook swoops in and talks about its commitment to poorer nations with slower internet speeds. Zuckerberg’s latest comments would make Spiegel look bad (or worse, given how India seems to feel about him), but there’s no love lost between Facebook and Snapchat. Facebook has been copying feature after feature from Spiegel’s company, and doesn’t seem to be ashamed to admit it — at Facebook’s developer conference, Zuckerberg said that they were late into the camera game, but now wanted to be the leaders in the field. Snapchat hasn’t taken well to the ripoffs — Spiegel’s girlfriend Miranda Kerr had once lambasted Facebook for its blatant copying, and even the product heads of the two companies have been butting heads on Twitter. 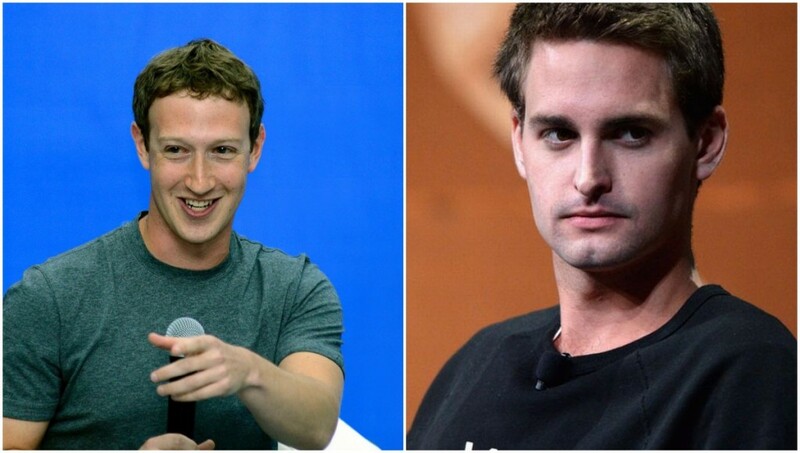 Snapchat and Facebook have had a complicated history. Snapchat had rejected a $3 billion acquisition offer by Facebook in 2014, and had gone from strength to strength since then. Snapchat had listed early this year at a valuation of over $20 billion, and now competes directly with Facebook. And if Zuckerberg’s comments are any indication, rivals don’t lose a chance to show each other down. It’s apparently all fair in love, war — and business.